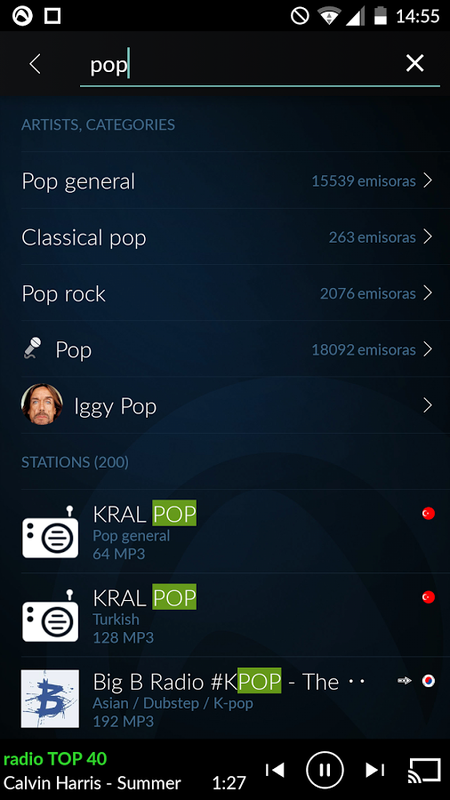 Audials Radio Podcast is a radio application that brings you over 80,000 internet radio stations and FM. 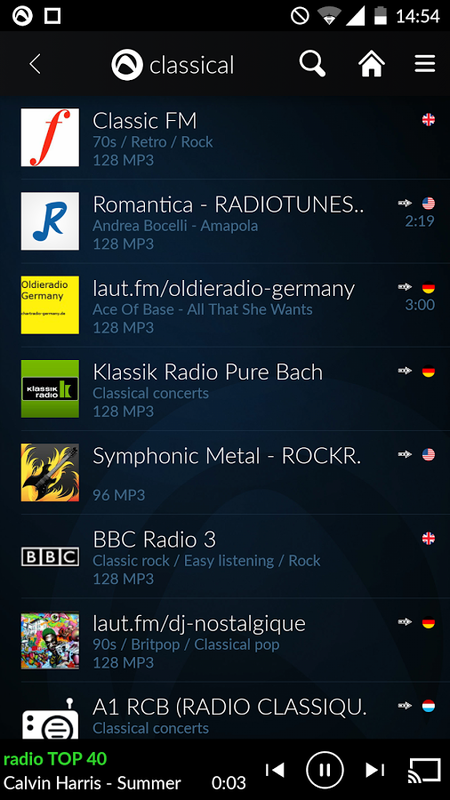 So far, you may think that Audials Radio is like any other application of radio, but it offers many other options and tools to become an ‘all in one’. From this moment, Audials will also be your podcatcher with many categories and languages, with News, gags, etc … It will also be your alarm and wake you up with your favorite radio station, it will repeat the alarm if you have not awakened and you can even set a timer to stop it. It works also to bring your music from your PC anywhere you go, just connect your phone to your PC, doesn’t matter how far you are. In addition you can record the music you listen to MP3 and this is saved in the SD card or in the cloud. Improve the sound of headphones or speakers with its equalizer, or search for your favorite artists, musical styles or by language or country. And finally, it supports Chromecast! You can not ask for more … There are still many features to name and utilities that you’ll discover as you use it. You will see how comfortable, easy and useful its. Note: This app is free but you can buy an upgrade to get even more features.